With an endowment of $2.45 billion, the Cleveland Foundation gives away more than $90 million annually to causes important to the Greater Cleveland community. Almost half of those charitable dollars are recommended by donors to specific causes; the remaining half is directed by the foundation’s board and staff to priority areas where the community is most vulnerable. The Cleveland Foundation contributes flexible grant dollars to respond to the expressed needs of the community. IRC 501(c)(3) nonprofit organizations often look to the Cleveland Foundation for our leadership and financial support to help them meet needs and test new ideas for the benefit of Greater Cleveland and its citizens. The foundation does not make grants to individuals, for-profit organizations, endowment campaigns, or annual fundraising or membership drives. To fulfill our mission to improve the lives of Greater Clevelanders, we must direct our efforts and dollars into long-term solutions to our biggest problems. 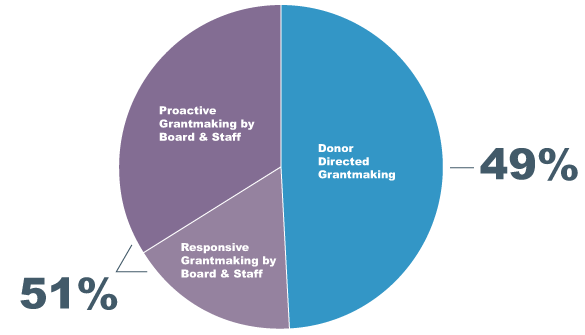 With the guidance of our board of directors, the Cleveland Foundation is steering the majority of our flexible grant dollars into priority areas vital to our community’s long-term well-being.